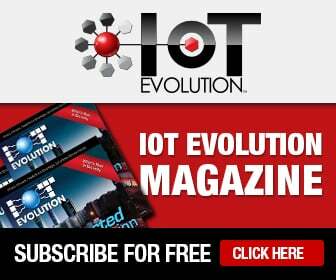 If you are thinking it’s time to finally connect your existing IoT system to a wireless network, you may be ahead of the curve. We are at a point where new network deployments are going to be delivered this year. How mobile is IoT? IoT and mobility have an interesting Venn diagram relationship where connectivity is the larger overlap and mobility is more referenced capability. Discussions since August have been centered on alternative solutions that meet the requirements for IoT traffic that is stationary. It turns out that for many of these implementations battery is more important than throughput. This has made the cellular operators and alternative wireless solutions look at new strategies. Here is what is going on. Cellular operators are finding ways to better support IoT traffic with their existing LTE deployments by changing the antennas and network characteristics. Cat 1 uses throughput at 10Mbps and costs around 25 percent less than existing antennas. In addition to the properties of the antenna comes the segmentation of the traffic and the use of half-duplex FDD as a way to decrease the risk of pirated traffic. However, the strategy may not be fully implemented until Cat 0 is specified in LTE release 12. That specification includes a power-saving mode that allows devices to sleep and reduce energy drains. Companies like Sequans are close to releasing Cat 0 by modifying the software in its Cat 1 chip. However the alternative wireless strategists think they have a total cost advantage. For example, Ingenu uses random phase multiple access technology that can allow battery life to extend for a decade and has a range well beyond normal tower range. This extension of the battery life reduces the need for truck rolls. The reduction in cell towers cuts down on operational and maintenance costs. Another example is the LoRa Alliance, which has the advantage of long-range coverage with a chirp spread spectrum modulation, which maintains the same low power characteristics as FSK modulation but significantly increases the communication range. With a minimal amount of infrastructure, entire countries can easily be covered. Last but not least is SigFox, which uses an ultranarrowband technology and can be deployed within the wide area. SigFox supposedly prices at $1 per year per device for more than 50,000 devices. LTE-U(nlicensed) is a strategy for using the volume of LTE by employing unlicensed spectrum like that in the 5GHz band. In effect this competes with Wi-Fi in the spectrum range but is considered better at resource management. T-Mobile and Verizon both are exploring taking advantage of this strategy. While my cover story in this issue talking about venture capital unicorns suggests capital is readily available for network deployments and actually market sized properly, this suggests that the safer strategy for today is to stay the course with LTE deployments. However, for many brownfields and legacy 2G systems, the price points are still out of range. The result is that opportunities exist for the new entrants to find markets and survive. Like the cable industry, it may take islands of deployment to get to the point where true competition exists with LTE.